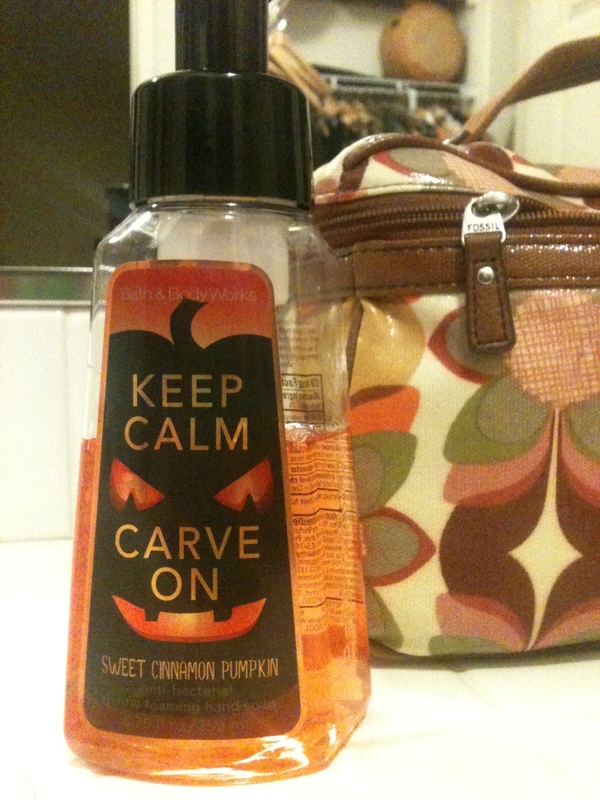 My sister found this in the back of the hall closet, and if ever I needed reminding of why Halloween is my favorite holiday, it could not have been made more clear to me then my reaction to seeing this simple bottle of hand soap. My Christmas tree was up, Thanksgiving was past and successful, decorations of red and green everywhere I look. Nothing so far has spun such a reaction to the smile that spread wide across my face when I looked upon this orange and black treat. I couldn’t keep from staring at it, sitting atop my bathroom counter, happy in the knowledge that it would be there until the end of the year. A little reminder of that which makes me truly happy. There is still Christmas shopping to do, presents to wrap, cookies to bake and cards to fill and send to family and friends. 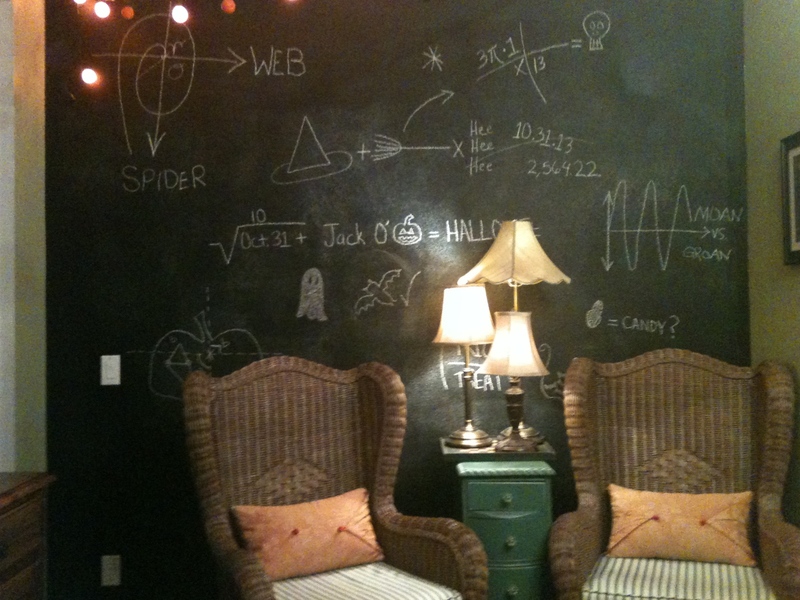 This little spot of orange and black will keep my Halloween spark alive through it all. Click image to visit Williams Sonoma site. The weather here on the west coast is definitely Fall-like at last, chill temperatures and brisk gusts of wind remind me of why I prefer this time of year. Time to break out the scarves and mittens, flannels and fuzzy slippers. Just to make cozying up that much more enjoyable. The approaching Thanksgiving holiday makes me pause and reflect, as I still see pumpkins decorating porches and sills and tabletops. We always save one or two from October to enjoy through November – a bright orange reminder – it’s interesting how the pumpkin, the idea of it, transitions from the herald of giving treats to the herald of giving thanks. Many of us will close the holiday with that slice of spicy sweetness. It’s a fitting way to bookend Autumn. 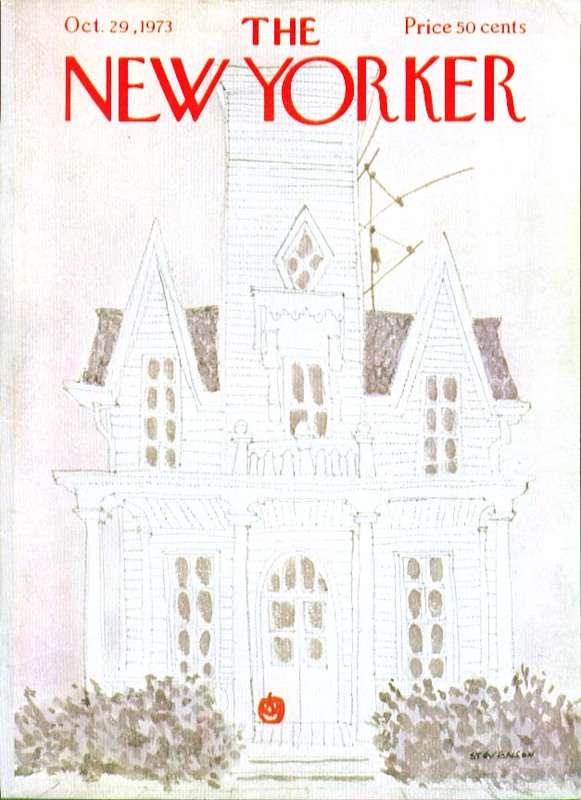 Enjoy this New Yorker cover from 1973, a house simply celebrating the season. Glad am I that this time of year offers such a plentitude of pumpkin tasties! 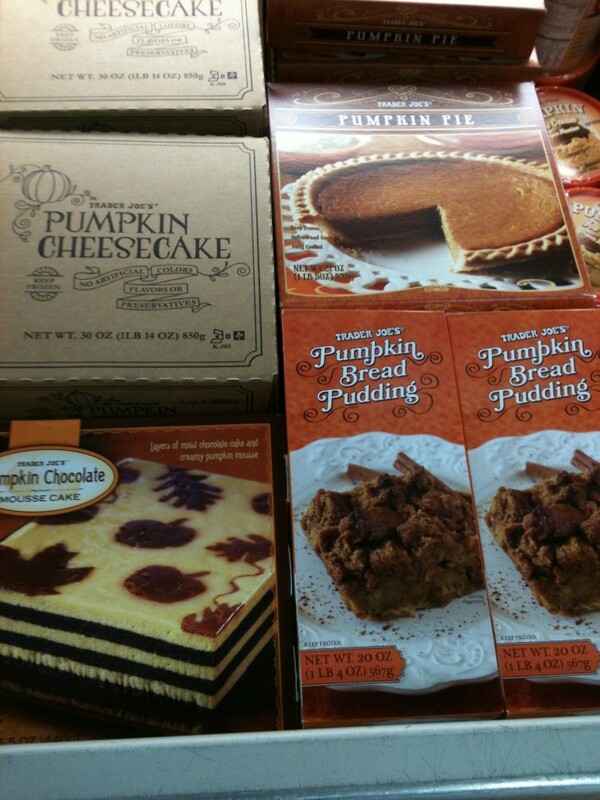 Here is a whole patch of pumpkin desserts from Trader Joe’s. Fulfill all your sweet-tooth cravings by trying one or all. 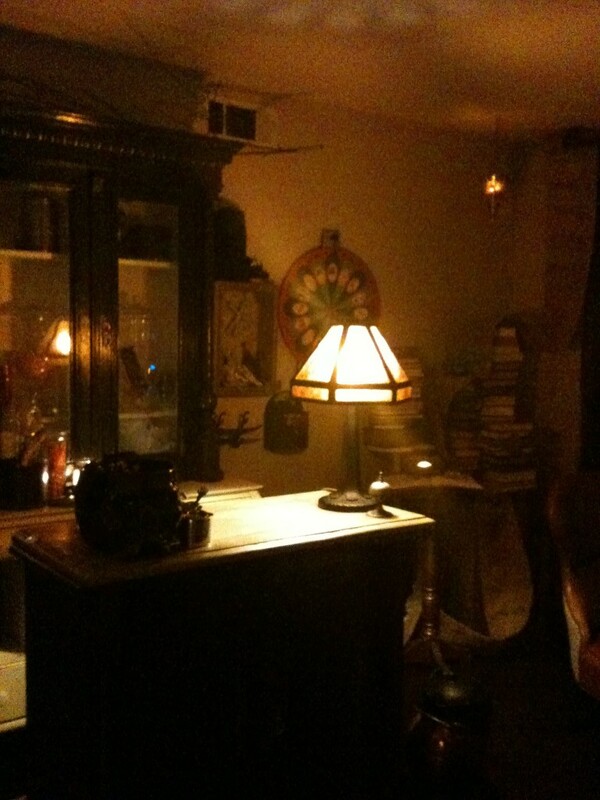 You are sure to find a favorite here. 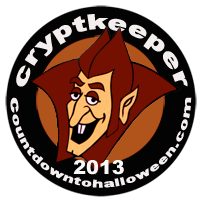 Click through to the site link for this product from Zombie Pumpkins! 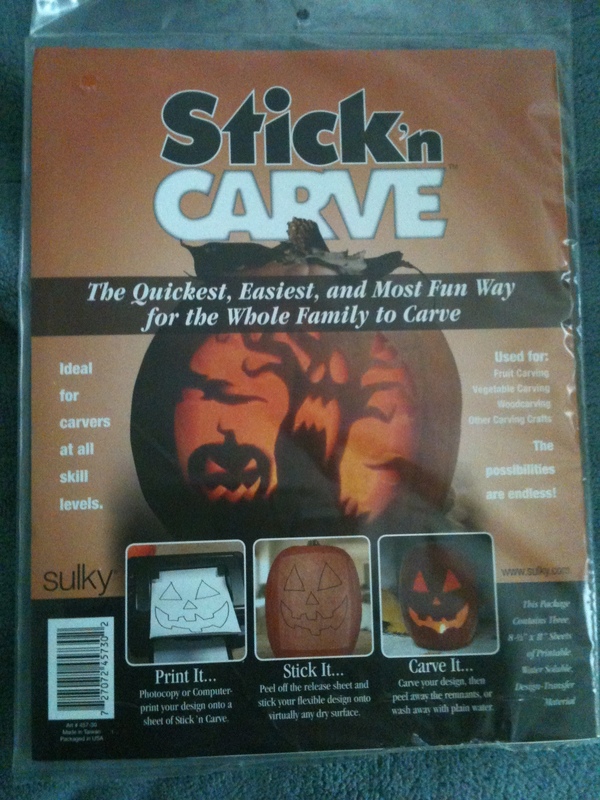 They have a tutorial that steps you through the process of using their printable transfer sheets that stick to the surface of your pumpkin for carving, picked some up and used them this year and I thought they were a very good tool to use to facilitate the time spent transferring images to the carving surface. The paper they use is water soluble which they consider an advantage as you can simply rinse the leftover product from the pumpkin surface after completing your design. I found this to be the only detraction, since as you carve the pumpkin edges “juice” . In my opinion it created a problem and caused me to feel I needed to hurry to complete my carve before the follow lines curled up or dissolved. I would use the product again, on simpler designs with fewer cuts especially for children since you eliminate the punching holes step which is no fun. 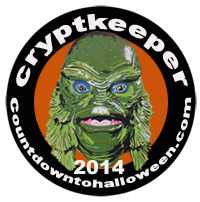 Tags Halloween, JackoLantern, Pumpkin, Stick N' Carve, Zombie Pumpkins! This is a quick bit of video footage taken by my husband (Redwire), he is very proud of the automated cauldron prop, it was the first mechanical prop I’d asked for and I think he did an amazing job putting it together. 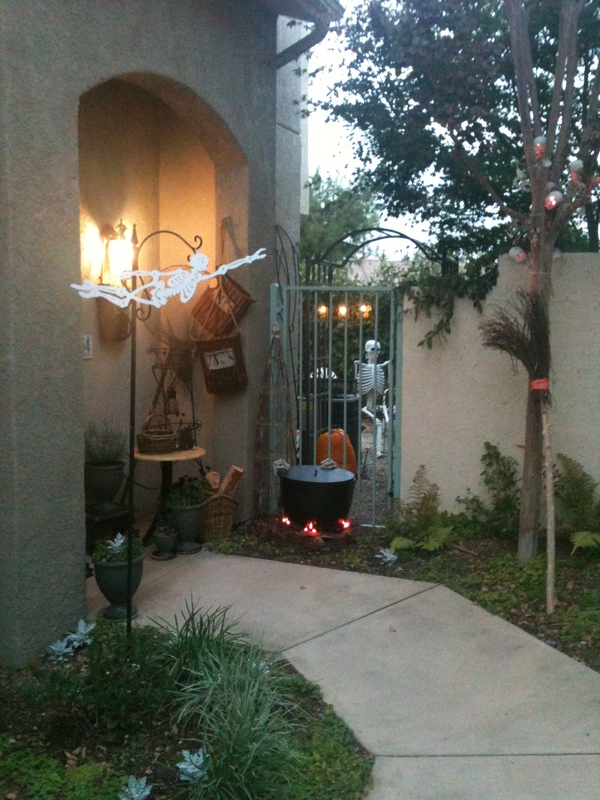 This is the walk up to my front door and the entrance to our “Shoppe”. 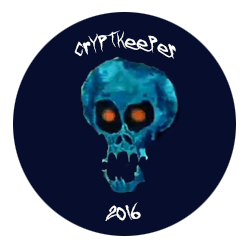 The music overlay is from Buffy the Vampire Slayer, episode “Hush” a great piece of music called “Golf Claps” by Christophe Beck. Once again I update you on the various scrumptious offerings in pumpkin flavored treats to be had at your local Trader Joe’s. Already gone through the seeds you roasted in October? 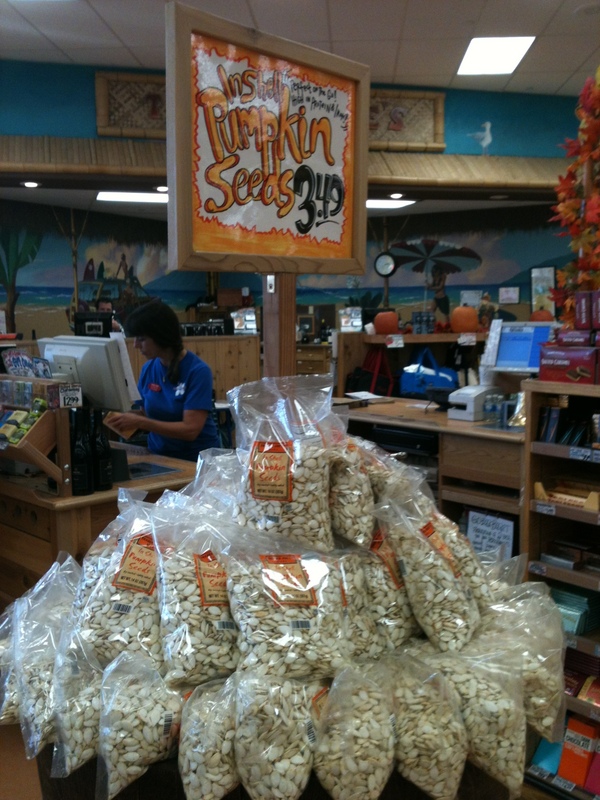 These bags of Pumpkin Seeds will satisfy that crunch that ice cream and pie can’t meet. Healthful and delicious and great when watching football. Good at Halloween, Thanksgiving and Christmas. An all-arounder that is too yummy to pass up! I’ve got mine. Sorry for the missing few days of posting – some technical issues needed attention. 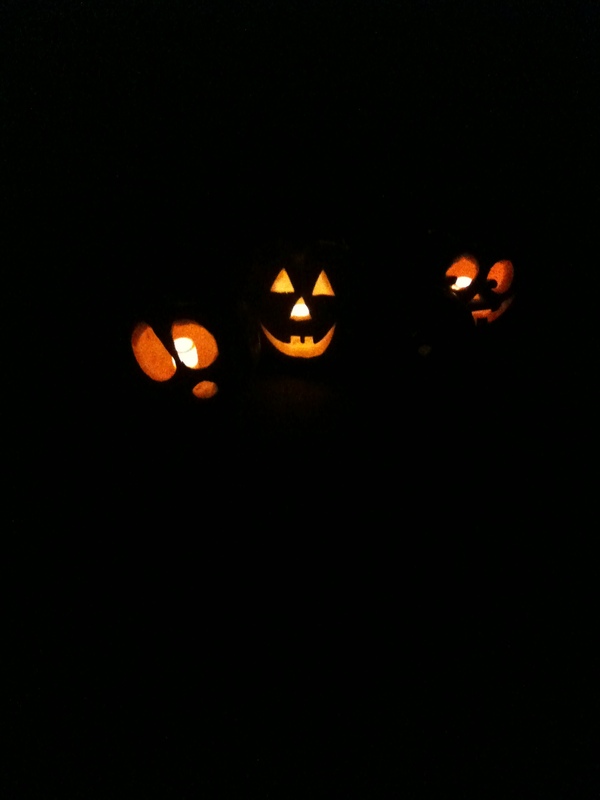 Some jackos from the neighborhood, these look to be pleased at the passersby. 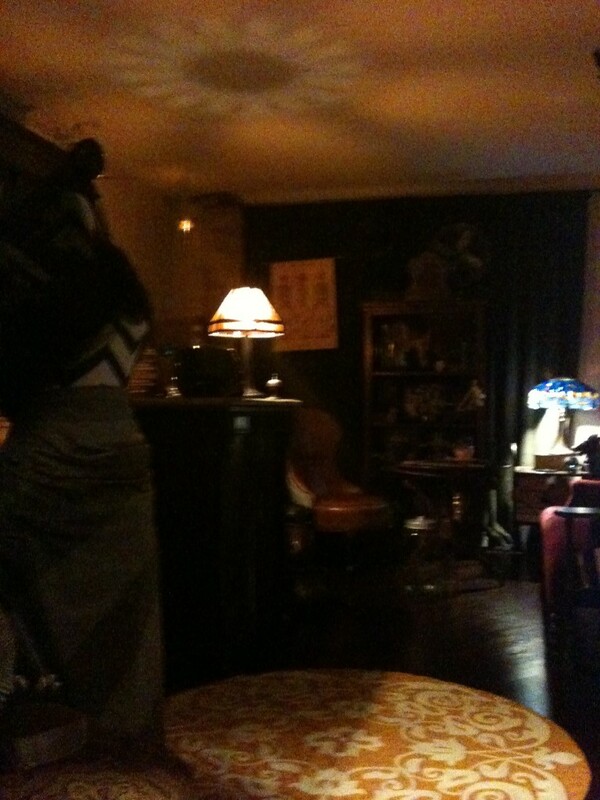 Just a few pictures from this years haunt…finally. More pics and vids coming very soon. Check back. 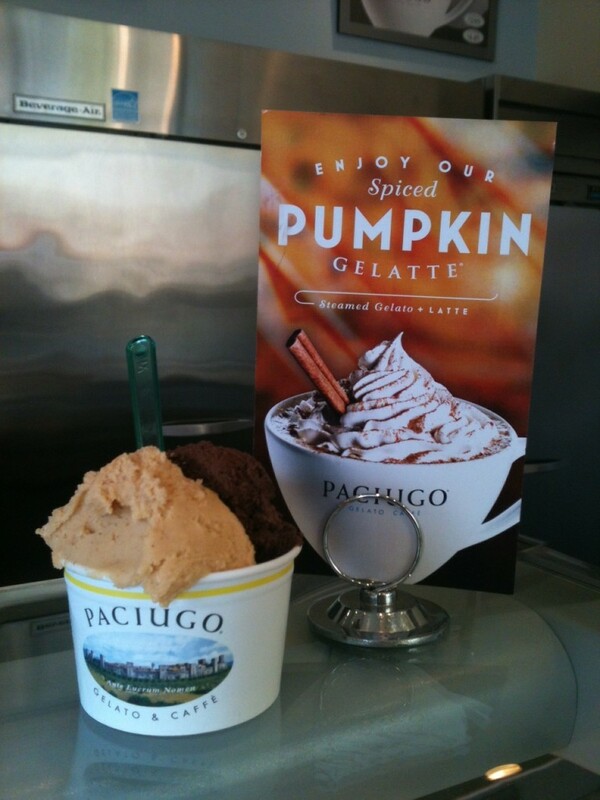 Paciugo Gelato is meeting the need for pumpkin flavored yumminess that drives cravings this time of the year with their offering of a Spiced Pumpkin gelato thru November 27th. Since Dallas based Paciugo has locations across the United States, chances are you are within driving distance of this amazingly flavored treat. The spiciness comes from copious yet restrained amounts of clove in their mixture which builds as you devour it, I ordered mine doubled with their Dark Chocolate Fondente and all I can say is its well worth the caloric investment. Although gelato has roughly 70% less fat than premium ice cream without any loss of flavor or satisfying creaminess. So indulge if you can. Did I mention they can turn any of their gelato flavors into lattes? They don’t use syrups either. Sooo good.